Indeed, the contrasts are clear. T2, the professional theater organization in our area, kicked off their current season with the show “Once,” about love and longing between two musicians in Dublin, Ireland. The show is filled with music and the bustle of a major European city. 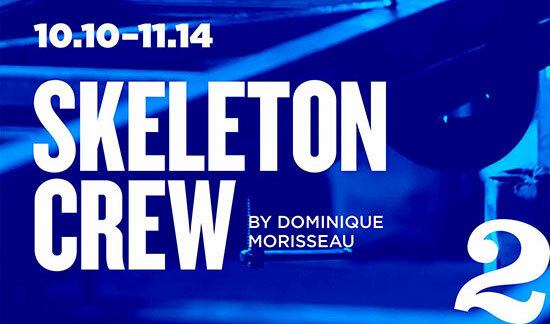 There are snippets of music in the current show, “Skeleton Crew,” but they are brief. The primary “music” in the show is the industrial hum of the machines just outside the break room where the show’s action takes place. The audience hears the hum any time the door opens as the four colleagues who appear in “Skeleton Crew” head out of the break room and to their stations on the assembly line. In “Skeleton Crew,” TheatreSquared has traded the hipness of Dublin for the grime of Detroit. But just as the residents of Dublin have their own sing-songy approach to the English language, the inhabitants of the world award-winning playwright (and recent MacArthur Genius Grant recipient) Dominique Morisseau shows us have a way with language, too. It crackles with life; and it matters deeply when characters look at each other in silence. I don’t know Detroit well. But Morisseau does, and I believe she’s captured its essence here. The date for the on-stage activity never officially appears in the show, and perhaps by design. The happenings feel contemporary enough to be from any year of recent vintage. But if I had to guess, the activities take place as the Great Recession started tightening its grip around blue collar workers. The delineation of collar status is one that comes up during the middle of “Skeleton Crew.” Reggie (played by Anton Floyd) has ascended to a managerial role at the factory, but he maintains deep ties to his floor employees. Those connections are exposed and alternately challenged and strengthened as the story unfolds. We also meet three other factory workers, all dealing with their own set of struggles. Dez (played by Broderick Clavery) wants to be in his job just long enough to open his own auto shop, but he simultaneously worries for his safety in an unsafe city. Shanita (Deanna Supplee) is very pregnant but faithfully conducts her duties, and she hopes for a secure life for her child. Faye (Cherene Snow) hopes that she can make it to 30 years on the floor. You get a better retirement package at 30 years of service than you do at 29 years, she tells us. But all of these goals are in a precarious spot. The rumors of a plant closure become more than a rumor, causing a reassessment of everyone’s worries. To further complicate matters, Reggie is tasked with solving a string of thefts at the factory, and it seems like everyone has motivation for taking something extra from the company. The stakes are clear. Everyone could lose everything. Which makes this show quite the drama, but it’s not one without sweetness or humor. Our ideal career scenario is one where our work makes a difference, and that we get to work in the presence of others who share that goal. We might visibly see the grit on the floor of Kimberly V. Powers’ scenic design, which creates a break room scene anyone who has worked for a large company will immediately recognize. But there’s a real camaraderie in this makeshift auto plant family. They do more than just work together. They spend huge chunks of time together, and Morisseau’s characters are aware of this. 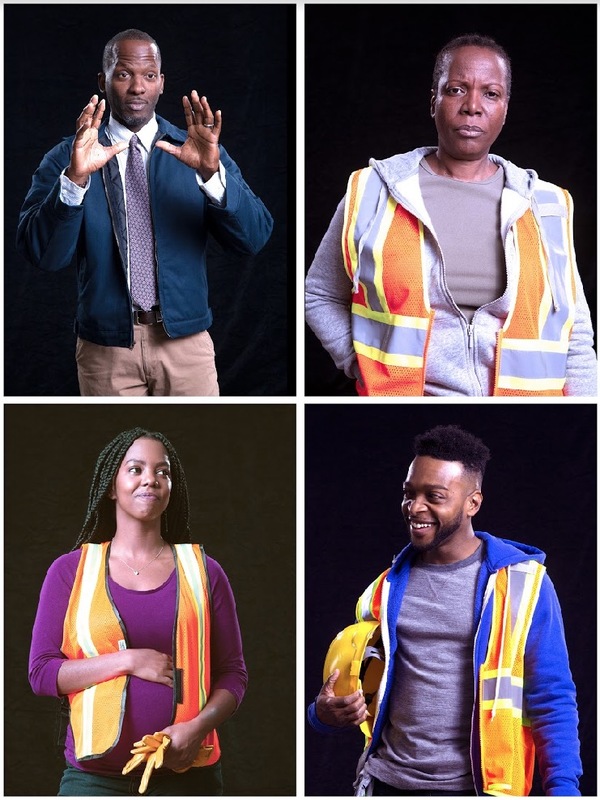 We must then give credit to Morisseau and the four actors for making an exciting theatrical experience during a play that is confined to a small space. Yes, it’s a different kind of play than its immediate predecessor on the T2 stage. And for that, we must give credit to TheatreSquared, too. We went from one of the biggest hits of regional theater world – “Once” broke box office records for T2 – to a smaller, more intimate, different show. But an important one nonetheless, and one that helps us examine new stories. The language of Detroit auto plants might not be Dublin’s, or Fayetteville’s, but it’s one that can speak to us.